Last Day In Taipei. 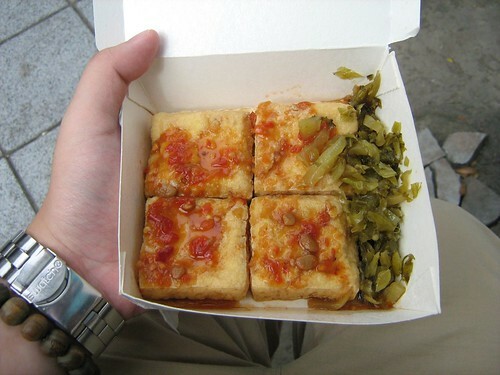 Tried the Stinky Tofu! It's my last night in Taipei, will be taking the morning flight back to Malaysia in a couple of hours. 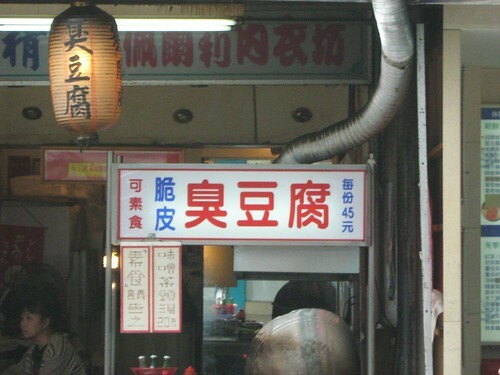 One of the most distinctive features of the city, to me, is the unbearable odour of stinky tofu emitted from their many stalls around Taipei. They smell like a combination of sewers and rotting carcasses, I cannot help but feel all puked up whenever I walk past one of these stalls. 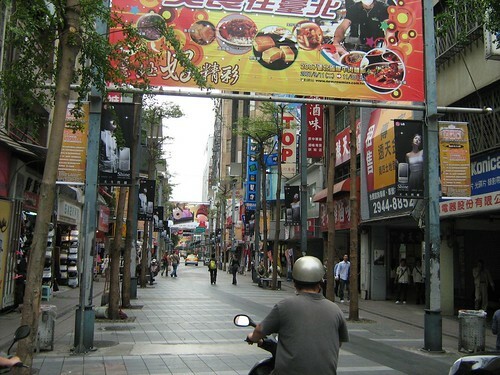 I felt like retching when the woman began cooking up the tofu, the smell was undeniably strong, but I stood at my place, I'm a filmmaker, I can't afford to chicken out at the smell of stinky tofu!!! 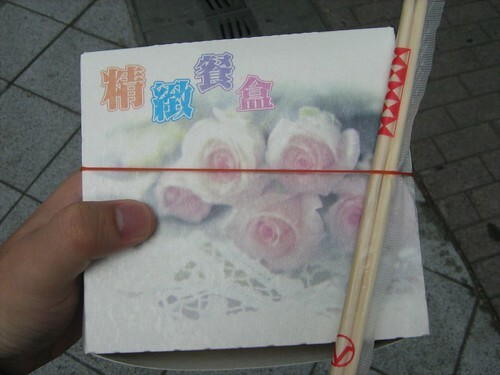 The woman placed the stinky tofu in a box, the irony of putting it in a box with a picture of roses wasn't lost to me. ... and ate the tofu. They tasted pretty decent, the smelly odor came only when vendors were at the midst of cooking them, once everything's done, they just smell and taste like any normal fried tofu! 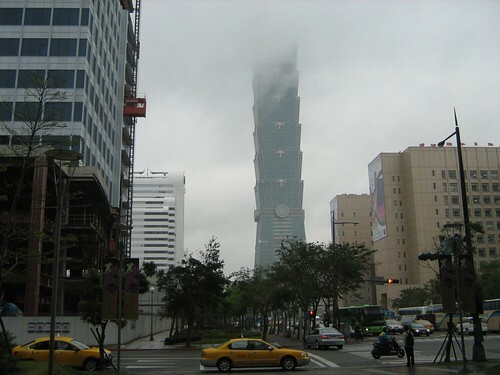 However, it started drizzling late in the afternoon when we returned to the Taipei 101 area, and it kept on drizzling until the night. Mom and dad went off to watch the UNCENSORED version of LUST, CAUTION, and I went off to watch MICHAEL CLAYTON, the new George Clooney film (I MIGHT review this, it's good). I'm sitting in my hotel room now, waiting to leave in five more hours, I might sleep, I might not. 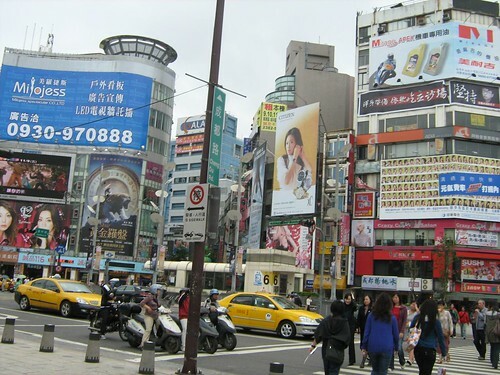 Taipei is a nice place, it's similar to Singapore, but with Mandarin (and Hokkien) as its main language. 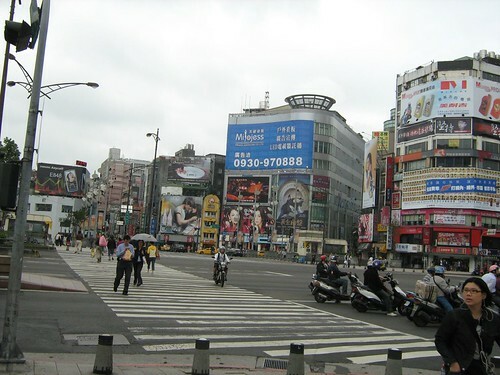 It's not as advanced and bustling as a metropolis like Shanghai, stuff ain't as cheap either, but people are definitely very civilized, and I like how the services have often been efficient and polite, the Japanese influence is heavy. The political situation is rather funny, my dad had tried to start conversations with each and every cab driver we met, asking about the impending election next year, and everyone's not too happy with the economical or political situation here, and only one or two were content with the current governing body (Democratic Progressive Party), although neither of these guys have many kind words to say about Ma Ying-Jeou, Kuomintang's candidate, believing that he's just an indecisive pretty boy incapable of facing pressure. Hmmm. Well, just some quick thoughts. Signing off now. Looking forward to my return to Malaysia. 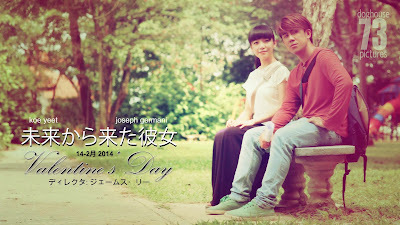 Also changed the colour scheme of my blog to green as a homage to GREENLIGHT PICTURES, the production company I'm at now. Hah!